As the web site has grown in size and neared 1000 pages difficulties have arisen with the search tool. If you get a response of "No Documents Found" or general gibberish it is suggested that you please one of the use the alternate tools. We are attempting to remedy this but free search tools have their limitations. 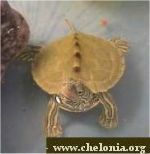 Copyright © 2002 World Chelonian Trust. All rights reserved.